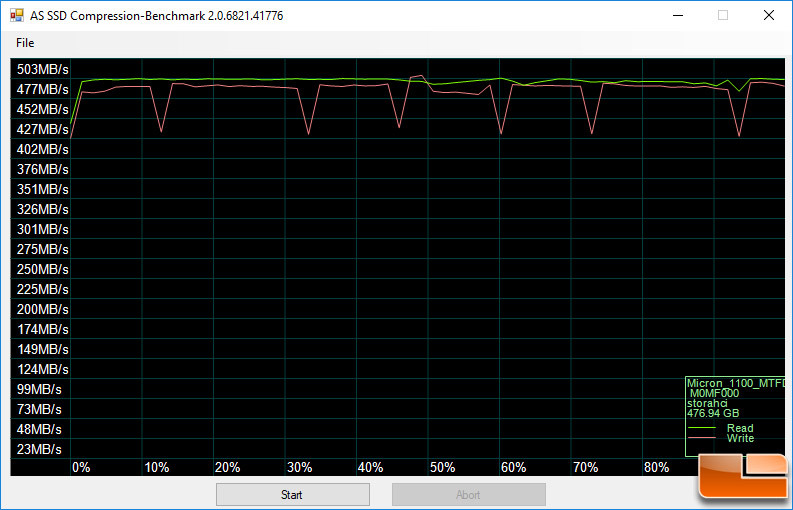 We have been running the AS-SSD Benchmark app for over some time now and found that it gives a broad result set. The programmer has worked very hard on this software and continues to make updates often so if you use it, show him some love and send him a donation. There are now three tests that are found within the tool and we’ll show the results from all three of them. 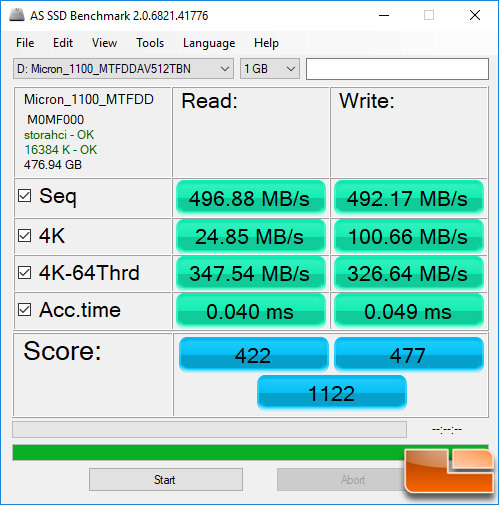 Benchmark Results: On AS SSD, the Micron 1100 512 GB drive had an overall score of 1,122 points with sequential read speeds of 496.88 MB/s and 492.17 MB/s write. Benchmark Results: For this benchmark chart you would ideally want to see a straight line as you don’t want any compression performance loss as the test goes from 0% compressible to 100% compressible data during the benchmark test period. The Micron 1100 512 GB M.2 SATA looked good on the read test and had just a handful of small performance dips on the write side. Before we wrap things up we wanted to see how real-world was when writing a 30GB folder containing five 4K movies over to the SSD. 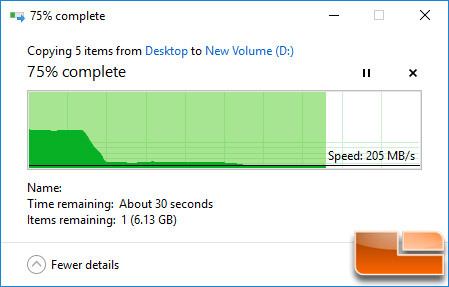 For this test, we are going to simply stress write performance by transferring over a 30.6GB folder of movies off of a PCIe NVMe SSD to the drive being tested to see how performance looks. This is one of our favorite tests as many enthusiasts and gamers move large folders of data around at one time or another. The Micron 1100 started out fast, but once the SLC cache was full the write performance dropped down to 200 MB/s at the end of the file transfer. This is one of the downsides to most all TLC NAND based drives and is expected once the cache is filled.